Moorabbin is a pleasant suburb of Melbourne with plenty to offer residents. With excellent amenities and some beautiful properties, it’s a sought-after location and as a result, skip bins Moorabbin are often in high demand. Skip bins Moorabbin are the perfect solution for those in need of a clean and affordable tidy up around their business or home. Best Price Skip Bins are experts in the field and offer something completely different to competitors. We not only promise to deliver your skip bin within 24 hours but we also promise to get you the cheapest possible deal! We do this by using our many connections in the skip bin industry and calling to ensure your skip bin is the cheapest available supplier at the time you order. If you’d like to order a skip bin, simply fill in our easy-to-use order form and we’ll get it out to you within 24 hours. 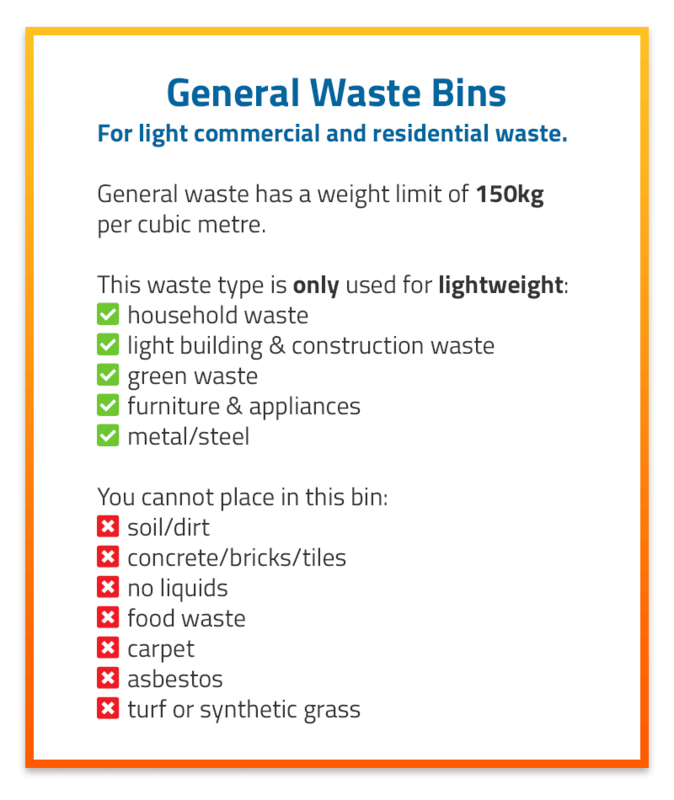 What can you put in a skip bin in Moorabbin skips? We can collect most types of waste, including general waste, green waste, concrete/bricks, soil and even mixed waste. 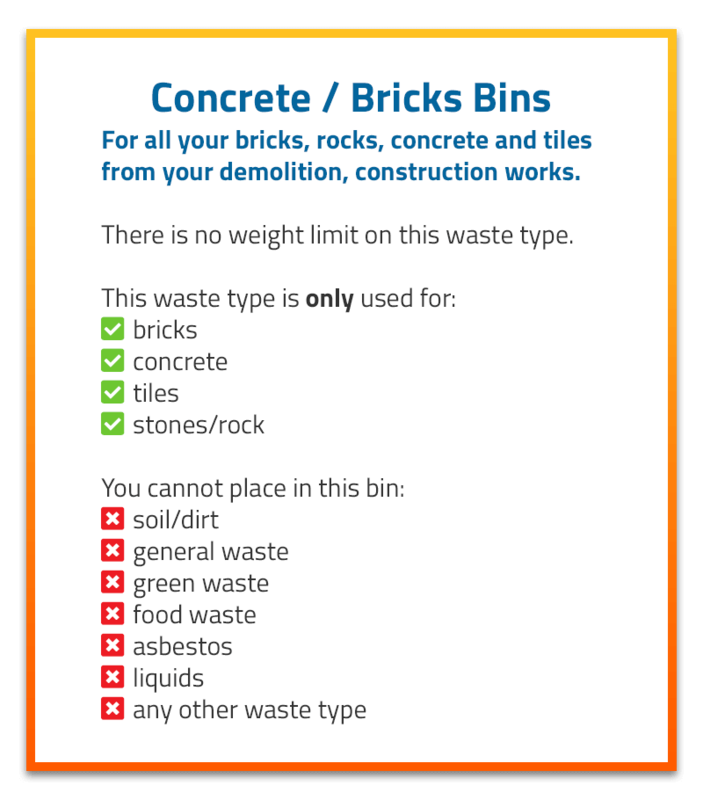 We try to keep waste types separated in our skips– this is to allow for recycling when possible. Did you know that dumps charge extra for certain items that you may need to dispose of including mattresses and tyres? But you can save some money by using a skip bin instead of taking it to the dump. With mattresses, just remove the outer material off the springs and put them separately in the skip bin. The springs can then be disposed of as scrap metal and the material is general waste. No more extra dumping fees! As an eco-friendly company, we’re always trying hard to reduce landfill! 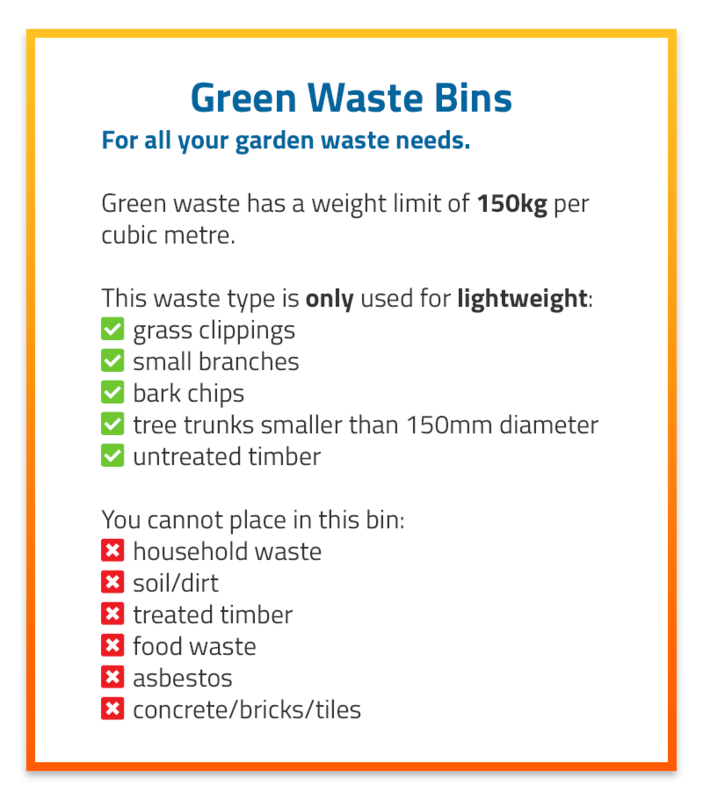 If you are unsure about what can go in Moorabbin skips or if garden waste can be mixed with household rubbish, just give us a call. We will be able to help you with all your skip bin hire Moorabbin needs. 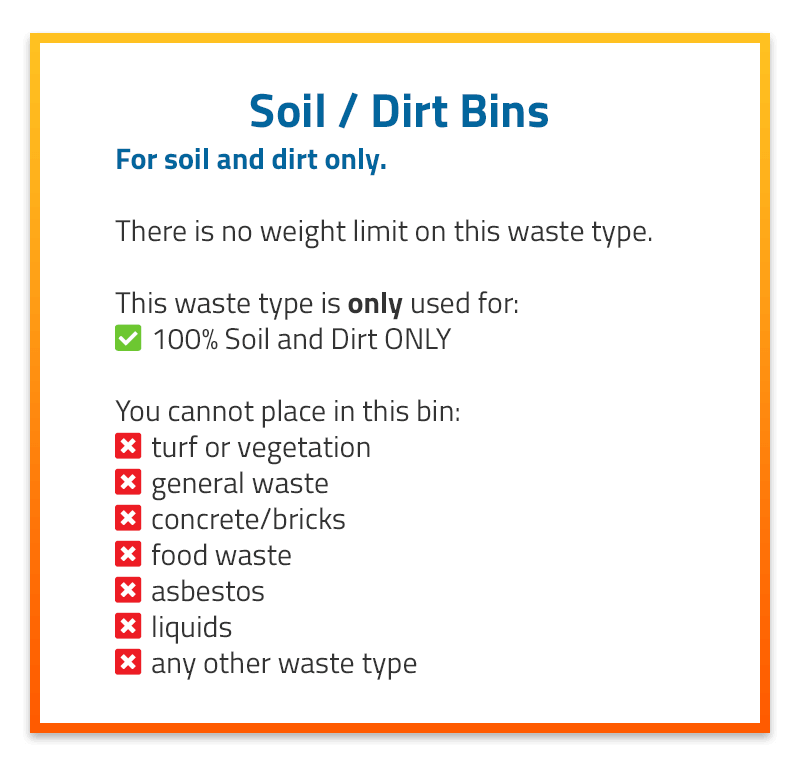 Skip bin hire Moorabbin – which size should I order? We have a huge selection of skip bins available. Depending on the size of the clean-up you’re undertaking, there will be a good option for you to choose from our range. Mini skips Moorabbin are a good idea for those who have just a small amount of waste to contend with. Our larger skip bins run to 30m3 in size which is ample for renovations and building work. 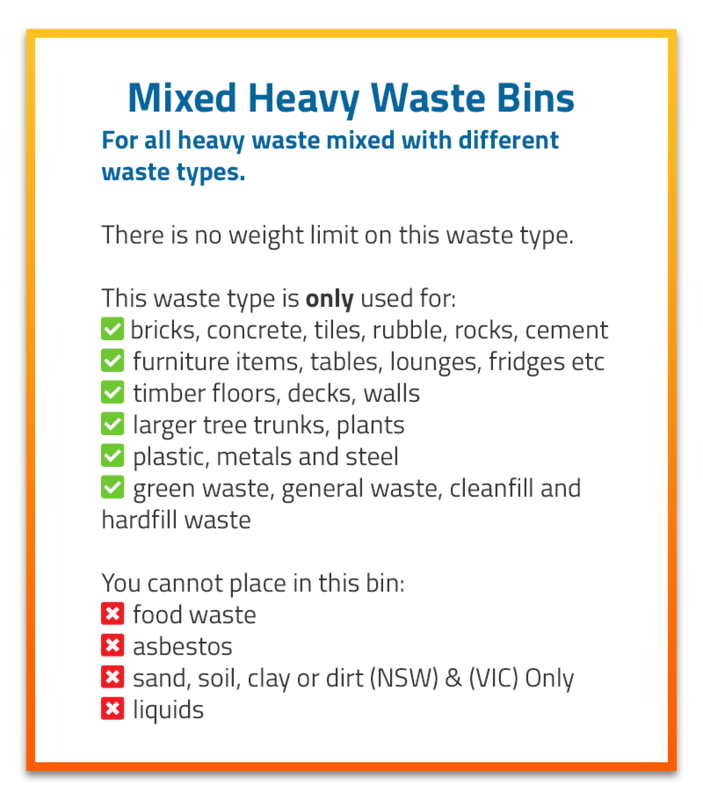 The infographic below offers a good idea of how large skip bins are in relation to an averagely sized man. Here’s a list of all skip bin sizes that we offer. How do I find the cheapest skip hire Moorabbin? Just call us! You just won’t get cheaper. We’re dedicated to getting our customers the absolute cheapest skip bins on offer. We’re able to do this because we have extensive links within the industry; we leverage those links to uncover the lowest prices. As soon as you book, we’re on the case and finding you the best price out there. This saves you the hard work of getting multiple quotes from different companies for skip hire Moorabbin. As a family owned and run company, we know our customers value great prices. That’s why it’s our priority to ensure you get a good deal. Are skips Moorabbin the best way to remove my rubbish? Definitely! You have two options when it comes to rubbish removal. The double handling method or the easy way. We favour the easy way…hiring skips Moorabbin! We save you the trouble of making many visits to the local dump and we do it at an affordable price! Get in touch with us today to find out just how affordable skip bins are. Do I need a council permit for a skip bin? A council permit is not required if placing the skip on private property. However, if the skip bin is to be placed on public property, such as the nature strip, street or footpath, a permit is required. Councils charge for these permits too so it is important to know where you want the skip bin delivered. To learn more about skip bin permits in Moorabbin, just visit the info page at City of Kingston. Order your skip bin today for a clean, convenient and affordable clear-up job!